My friend Vicki and I traveled to Kentucky to visit our friend Brittany. 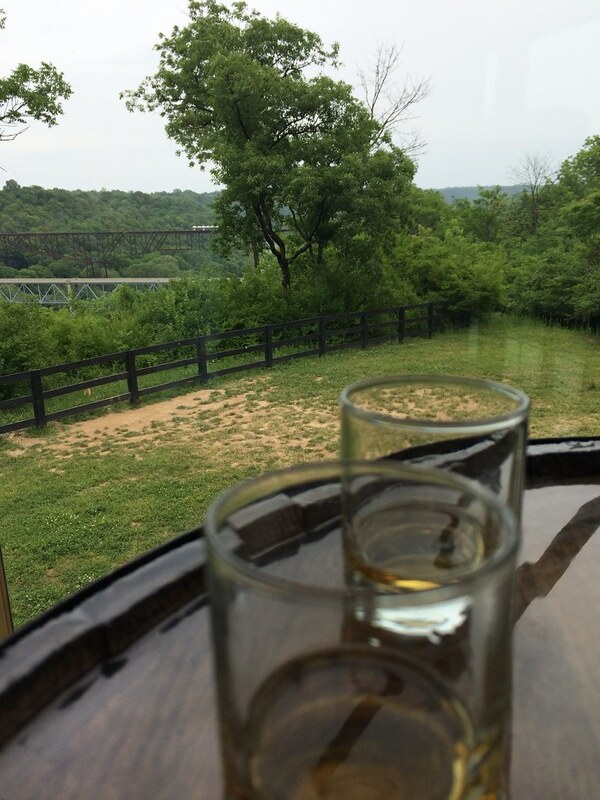 While in the area, we decided to embark on the Kentucky Bourbon Trail - mostly because I've always wanted to learn a little bit more about bourbon, and what better place to do it? 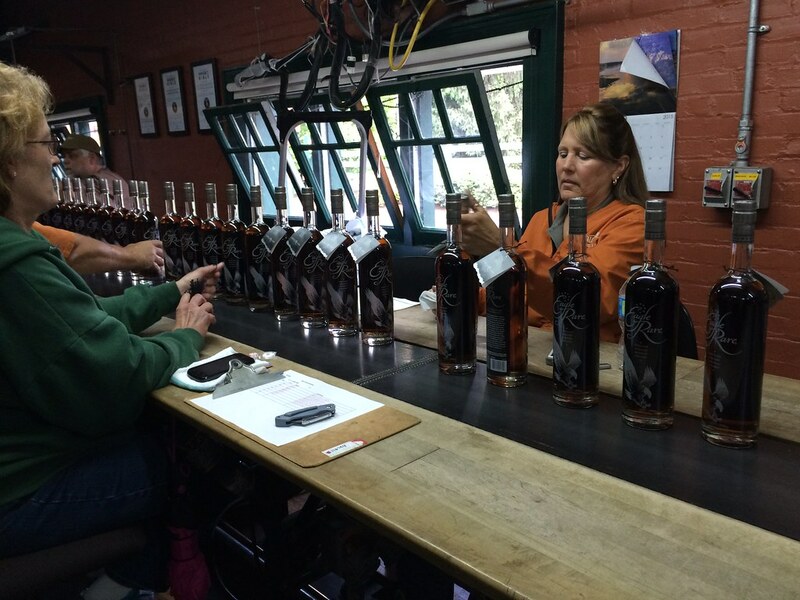 The basic idea is to take tours of nine distilleries famous for making bourbon across the state of Kentucky. 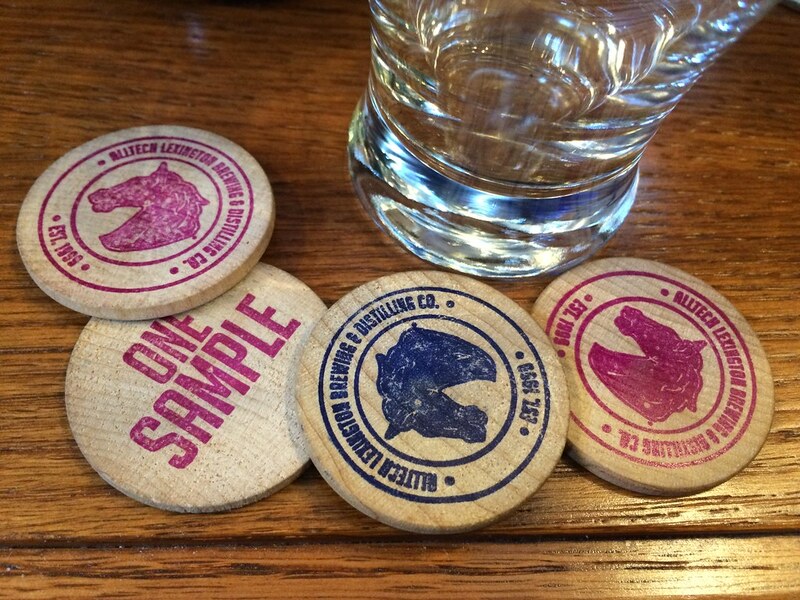 The state has a promotional campaign going on where you pick up a "passport" at the first distillery you visit and get stamps from each one. If you fill up the passport, you receive a "free" (read: most expensive free) T-shirt. I strategically planned this trail to fit within three days while Brittany had to work, so that the remaining days can be spent in Lexington while Brittany was able to spend time with us! When I say strategically, I mean it. Most tours are from around 10 a.m. to 3 p.m. or so and are held on the hour and are about an hour long. Plus we spent each evening back in Lexington. So factor that in, plus meals, plus travel time, and you have a pretty tight schedule. 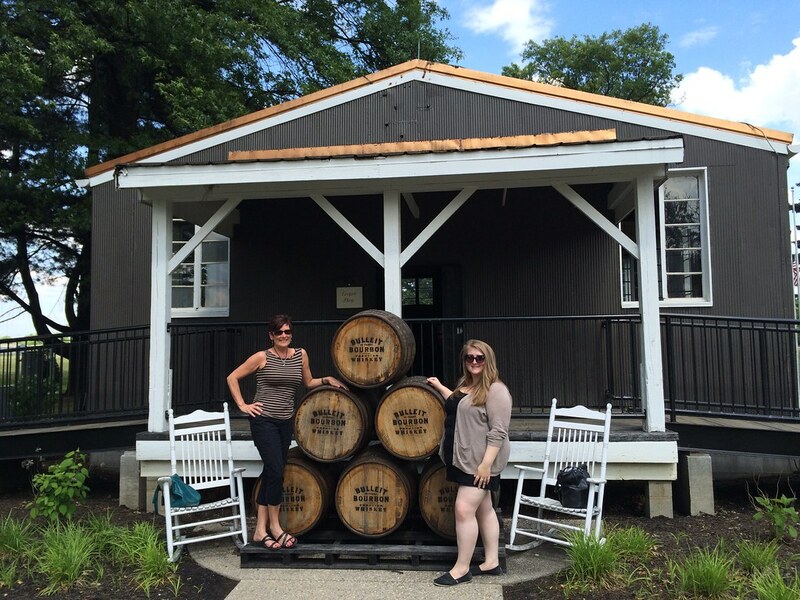 We drove straight from Morgantown to Louisville, grabbed a quick lunch and then headed to Evan Williams Bourbon Experience, our first stop along the tour. It was right in downtown Louisville and had an impressive display that stretched from the top to the bottom floor. We stood in line before the place even opened, but once we got in, we were put on a later tour (already throwing off my schedule). SO, if you're able to buy any tickets in advance, do so. 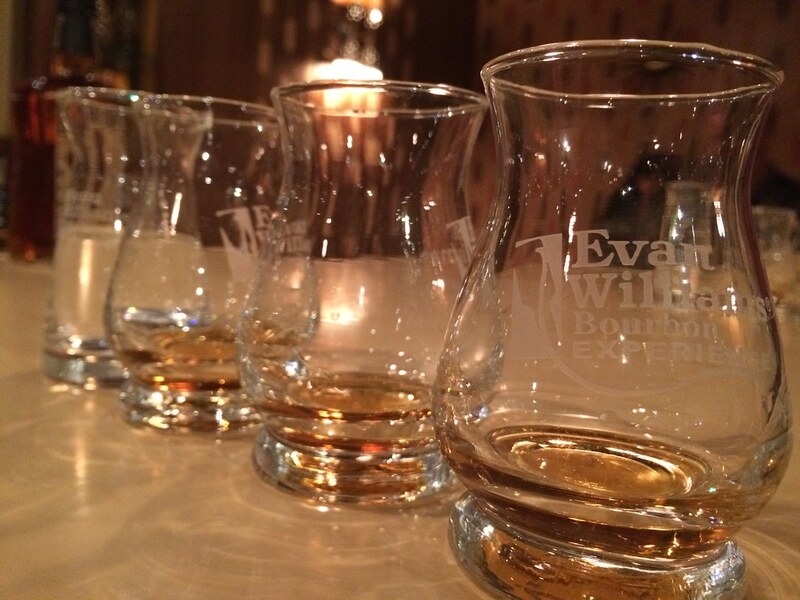 I didn't know much about Evan Williams before the tour, but it was very interesting to walk through the facility. You're led through these various rooms in the building, which emulate times in history. The immersive history was fun, and it ended with a tasting. My thoughts? Well, it was strong, and I couldn't tell much of a difference. I did notice that a little bit of water helps sweeten the flavor just a bit. 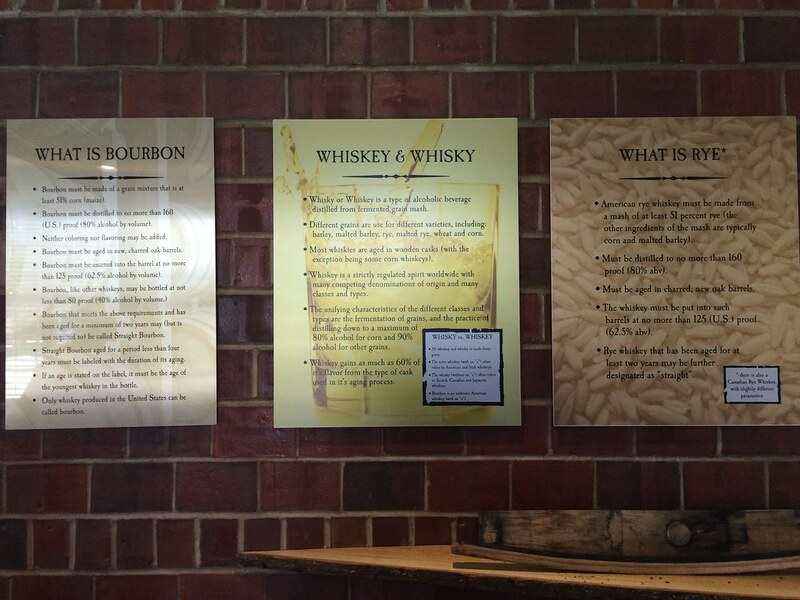 Also, this is the first of many times we were told that all bourbon is whiskey, but not all whiskey is bourbon. Bourbon is a kind of whiskey - one that has to be 51 percent corn. I also made note that I was a fan of the rye whiskey. 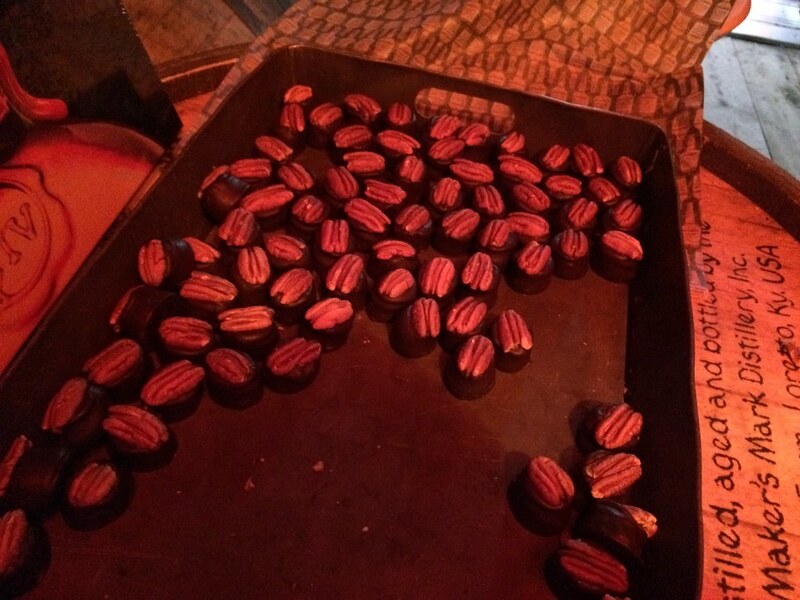 And I tried my first bourbon ball (mmm), and we did get to take a fancy little glass home. Once our first tour was out, we were ready to head back to our hotel defeated. Being pushed back 40 minutes would push us out of the timeframe for the second tour I had planned. But I called Bulleit Frontier Whiskey Experience just to double check. Somehow, they had one tour remaining. Game on. We booked it out of town and toward our next distillery. We were within maybe a minute of arriving when we were stopped at the gate. The kind woman, Ms. V., was chatting with us about West Virginia and having a good time, but I was nearly climbing out of the car to get to the next tour. Somehow, we made it just in time to catch the last tour of the day. My main takeaway from this place was that they are very new comparatively to the other distilleries. And we (maybe not so legally?) 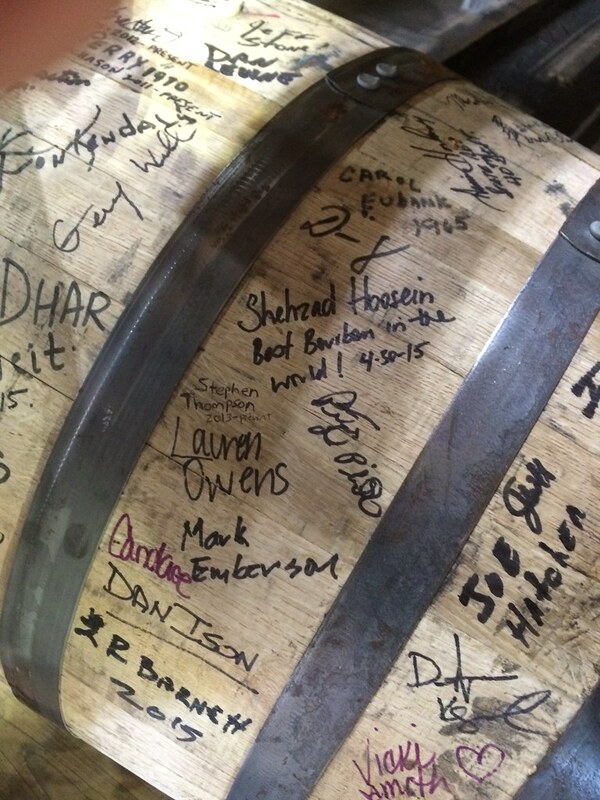 signed a barrel because Vicki carries a sharpie with her. That was pretty cool. 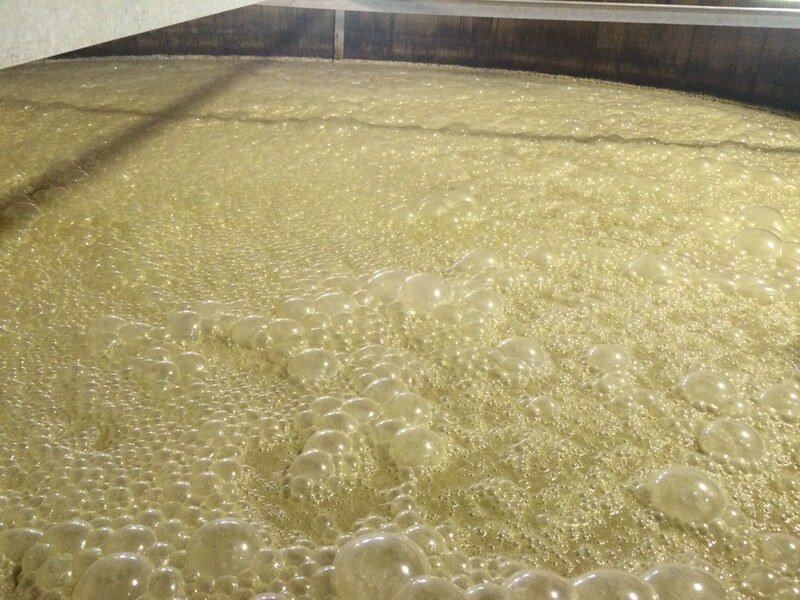 When bourbon is aging in the rickhouse, there is some natural evaporation - that's called the angel's share (cute, right?). So when you walk in, it smells... lovely. 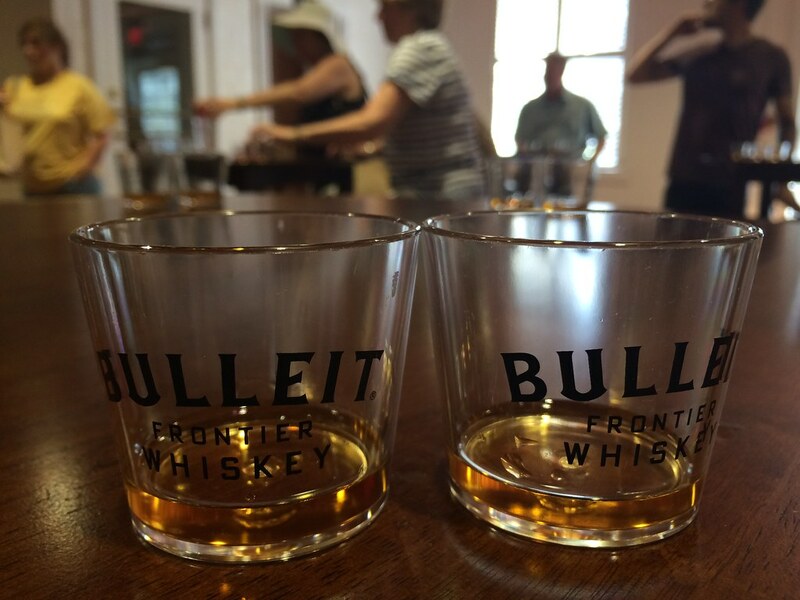 The tasting for Bulleit was also strong - but that's because we didn't really know how to taste it yet. 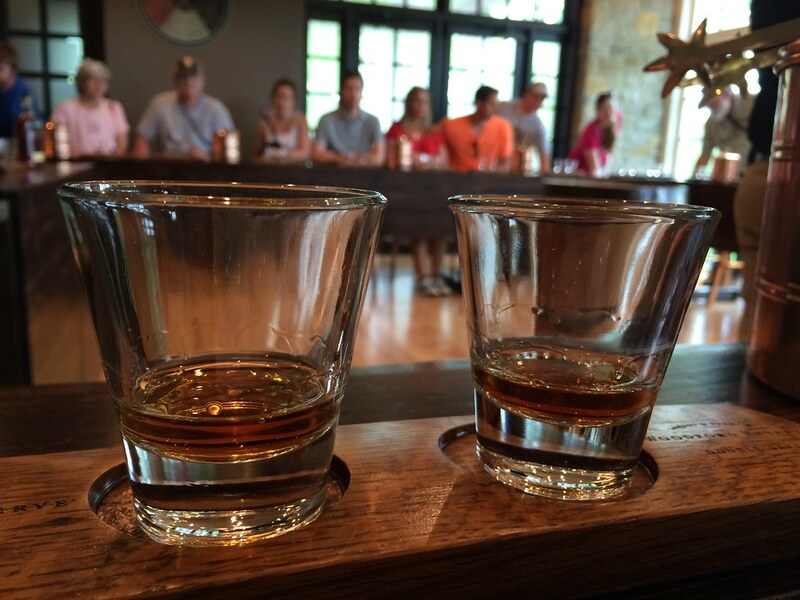 Nothing like a bourbon tasting at 10 a.m., right? 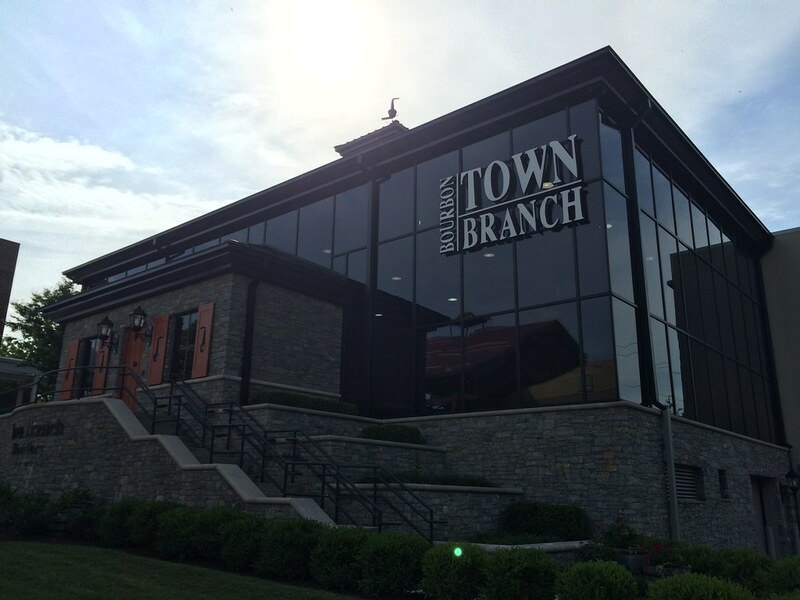 AllTech’s Town Branch Distillery was the first stop for our second day. The cool thing about this place is that it is a "brewstillery" - so they have beer AND bourbon. How cool is that? We got four chips to start with and could choose what we wanted to drink - whether that's liquor or beer. I did a mixture of the two. I liked both their Kentucky Ale and the Kentucky Bourbon Barrel Stout (which is beer made from the bourbon barrels). 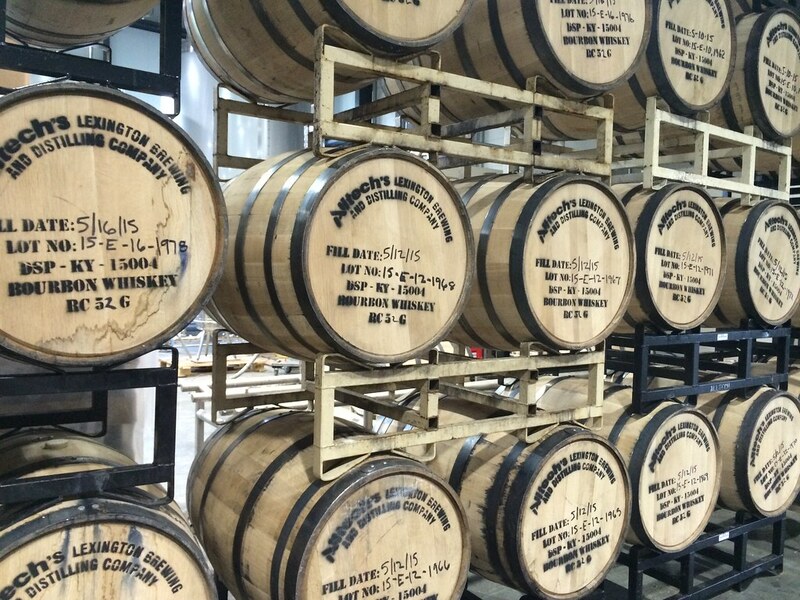 To be considered bourbon, the liquor has to be made in new, white oak barrels. 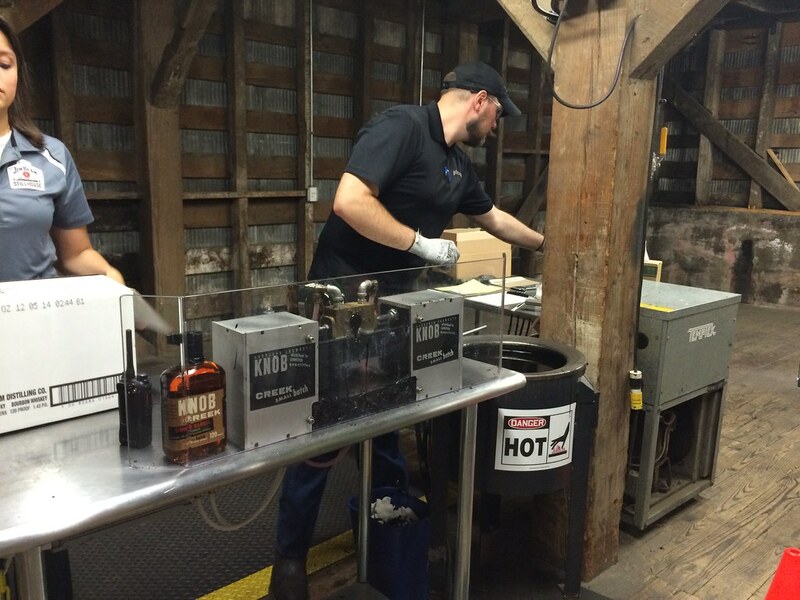 The inside of the barrel is charred on a level 3 or 4, which is what gives the bourbon its flavor. 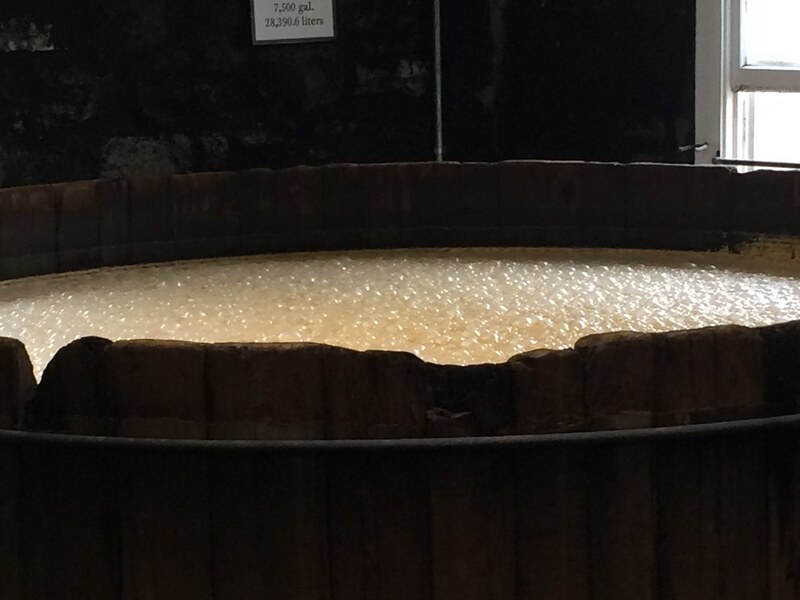 It goes in clear and gets all its flavor from the barrel. But the barrels can only be used once. 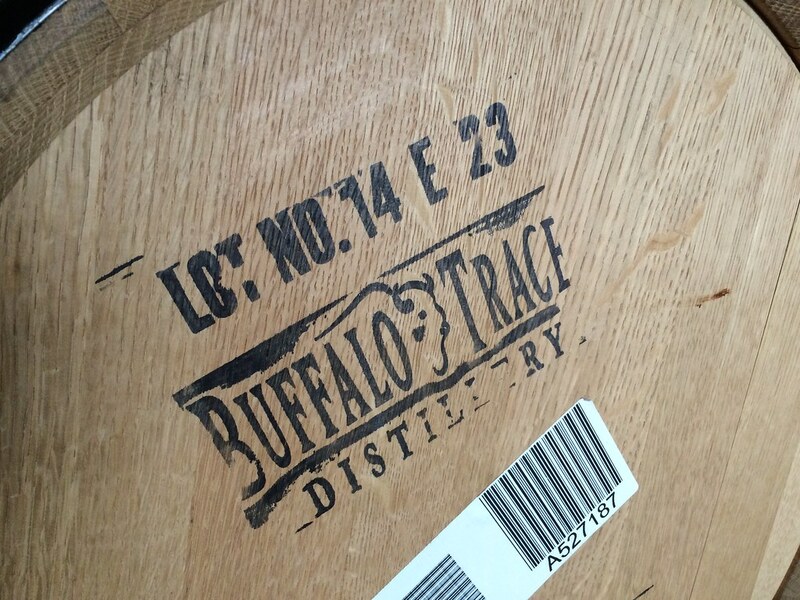 Many distilleries send their barrels off to Scotland for Scotch or Mexico for Tequila or even for hot sauce. So, this place is able to reuse their barrels for beer, which gives it a cool, unique flavor. 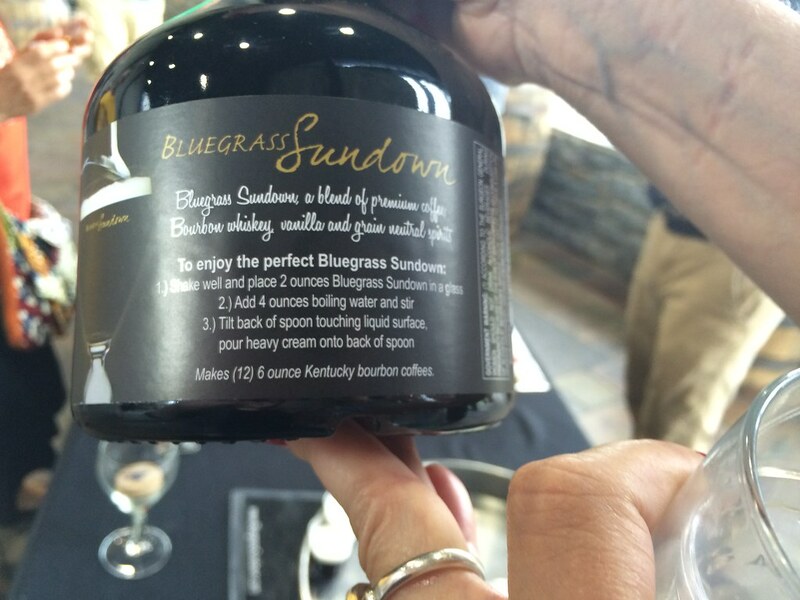 Here, we also tried a "bluegrass sundown" drink, which is a perfect blend of coffee, bourbon and heavy cream. So delicious. 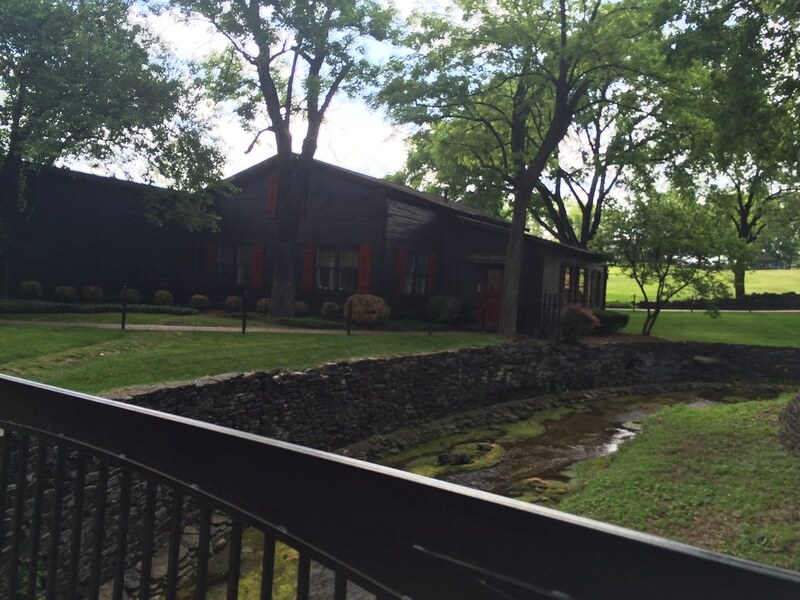 Next, we take the most beautiful scenic drive through rich horse country to find Woodford Reserve Distillery. Beautiful miles of white fence protected perfectly manicured farms for gorgeous horses. When we arrived, we were told we probably passed some very famous horses. I believe it. This distillery is easily the most polished and beautiful. It is clearly a sort of destination and event center, in addition to a distillery. The waiting area was huge, a lovely gift shop and even a small cafe that featured menu items made with bourbon. They definitely cater toward the tours - with our tour guide speaking to us via headsets. We even boarded a small bus to take us around the property. Our tour guide was the greatest - and we discovered it was his last tour of his last day! I'm glad we were able to experience a tour with him. 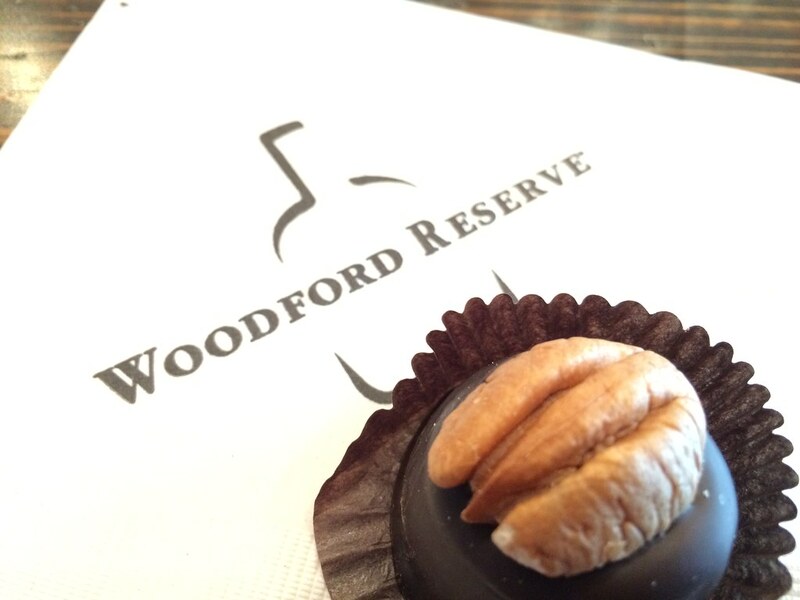 We had delicious bourbon chocolates, and we finally learned how to actually drink our bourbon. You want to take three sips - smell it first with your lips slightly parted, then take the first sip and swish it around your mouth. 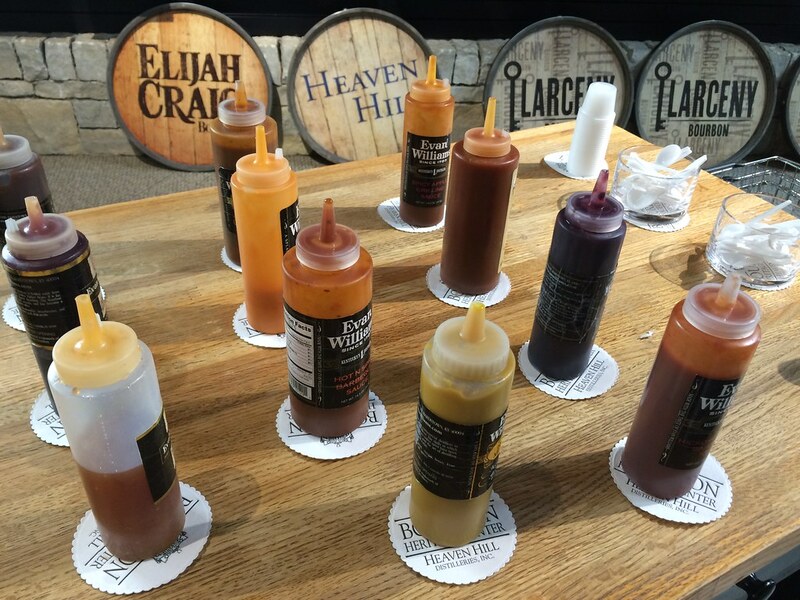 Your tastebuds get acclimated to the flavor. That's called the "Kentucky Chew." The second sip has a little bite still. But the third sip - that's the sweet spot. That's when you actually pull out flavors of the bourbon. And that warm feeling in your chest? That's just a Kentucky Hug :) And a few ice cubes mellows the flavor a lot. Definitely recommend. Our last trip for Day Two was Wild Turkey Distillery. The first thing we noticed was on the drive over, we crossed a bridge next to an old bridge where people were bungee jumping. I have to be honest when I say there wasn't a ton that was memorable about this tour. I know we started at the visitor center and were bused around the property. The rickhouse was supposedly (maybe) haunted, and they do ghost tours. Our tour guide did tell us a little snippet about the trucks that haul the bourbon. Some use fake labels on the sides of the truck like "Bob's Propane" (for Skyy Vodka, which is under the same parent company as Wild Turkey) so there's no foul play going on there. BUT, the way to tell if it's hauling alcoholic beverages? The number on the label on the back will read "3065." OK, our last day! 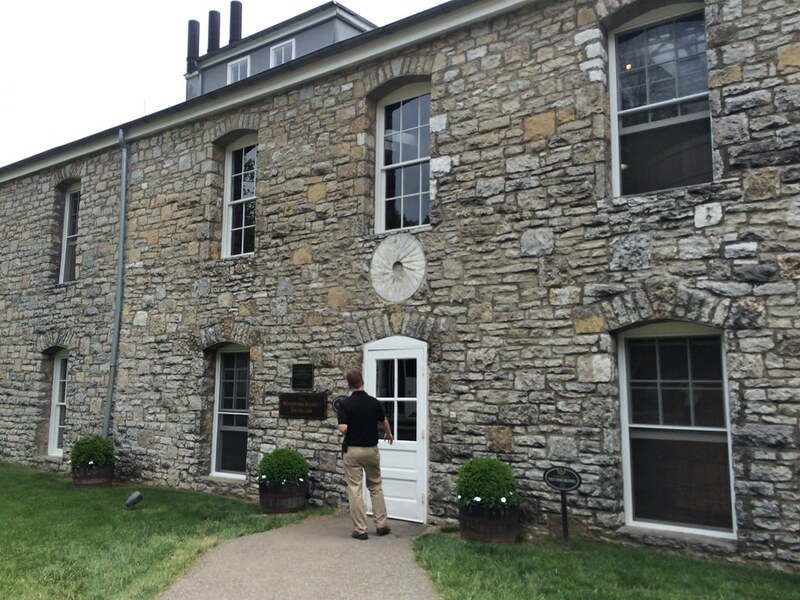 Four Roses Distillery was first on our list. We conquered two on the first day, three on the second day, and on our third and last day? We're going for four. 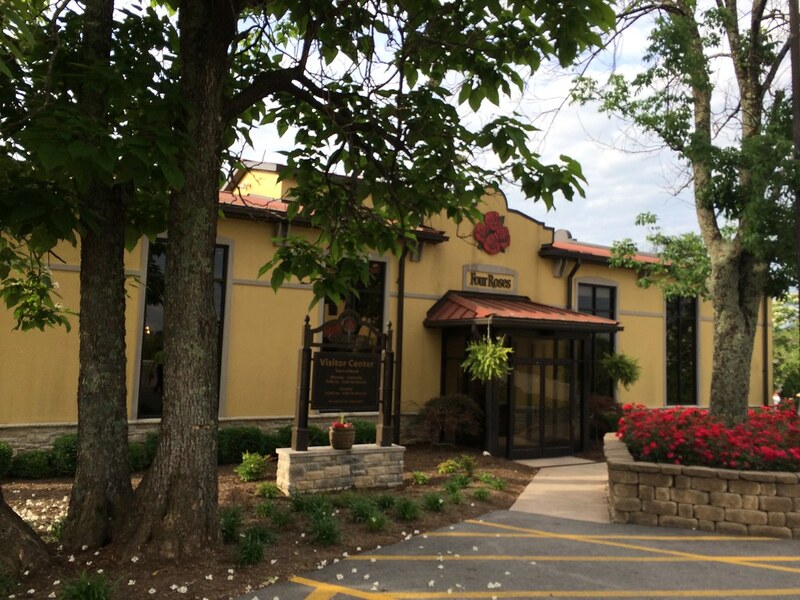 Four Roses opened early, and we were there as soon as the doors were unlocked. And we were the only ones (this may be because it was the first day back to work for many folks). So, we got a private tour! Even though it was just the two of us, our tour guide had us put on our headsets and walked us around the property. 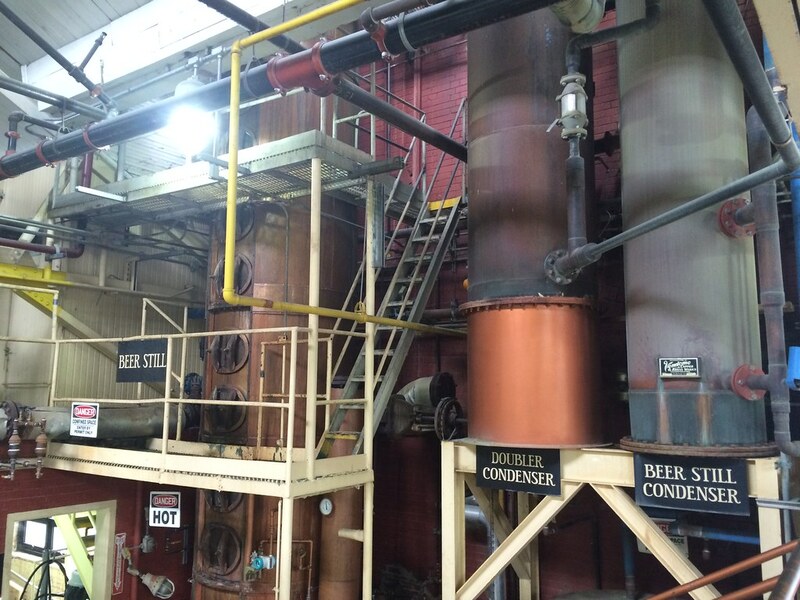 We got a look inside the place where they taste the bourbon to make sure it's just right. We also got to taste the mash! Plus the one-on-one attention made me finally pay attention to the process a bit more. 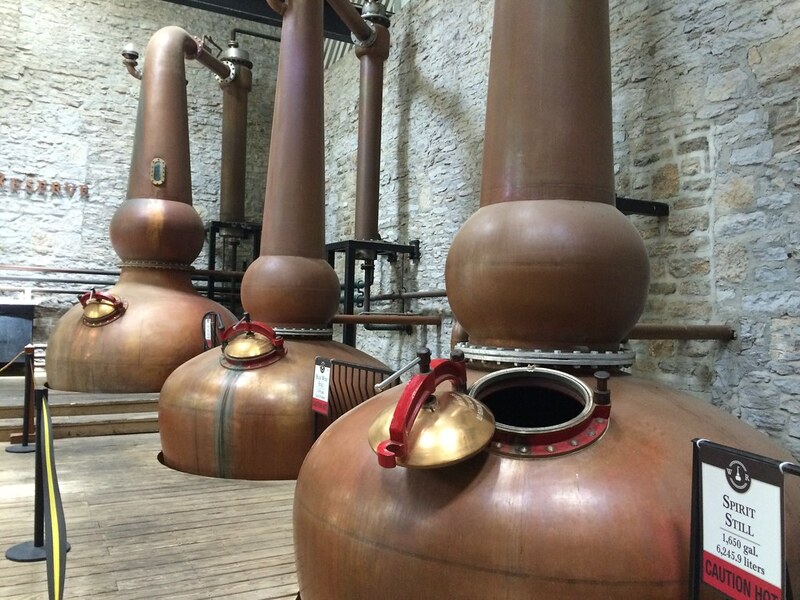 Bourbon must be made in the United States (not just Kentucky) with 51 % corn, distilled at no higher than 160 proof. It can't have any additives, and it has to be aged in new, charred white oak barrels. It has to enter the barrels at no higher than 125 proof for a minimum of two years (at least four years labeled on the bottle - but can be labeled older if they want. The sweet spot is 8-10 years). And it's bottled at no less than 80 proof. They all have various water sources, mixed with their choice grain (at least corn) and yeast. Some use "setback" - yeast from the day before to remain consistent. 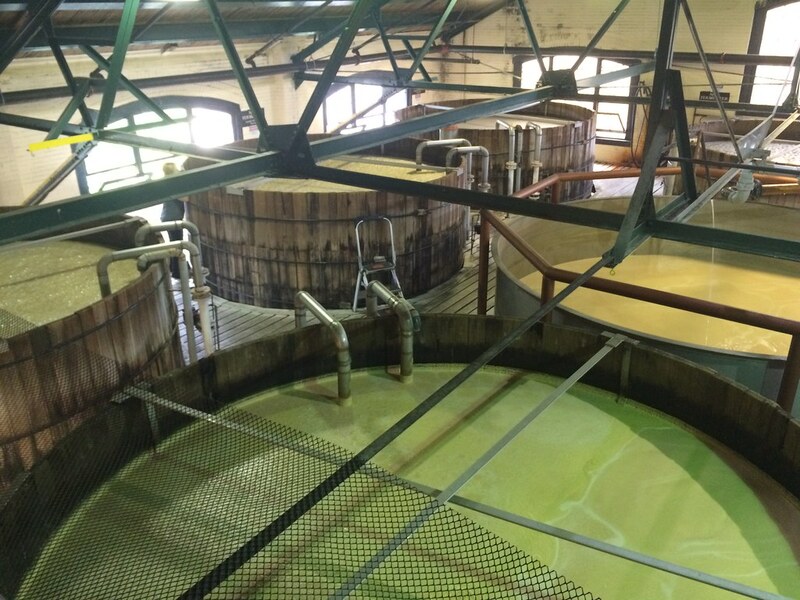 It cooks, ferments (where yeast eats the sugar, creating alcohol - making the distillers' beer). 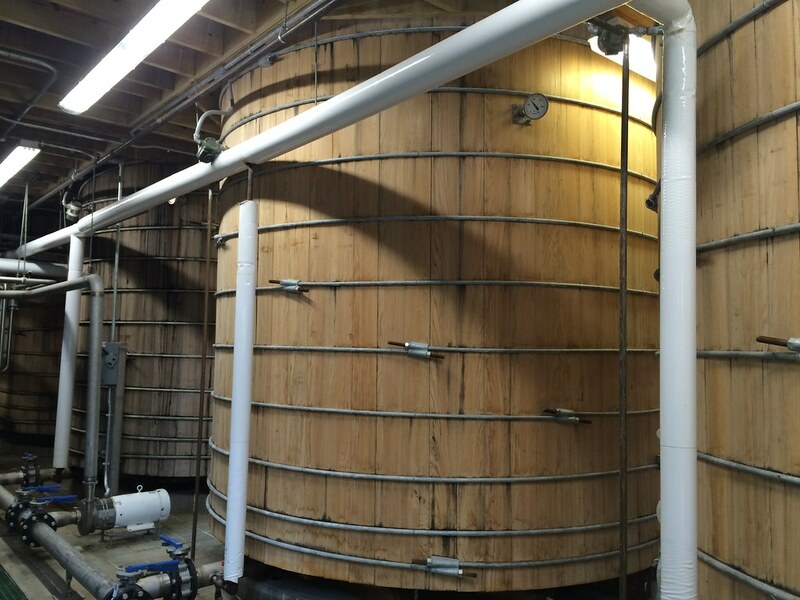 It's heated, cooled, heated and put into barrels where it ages. 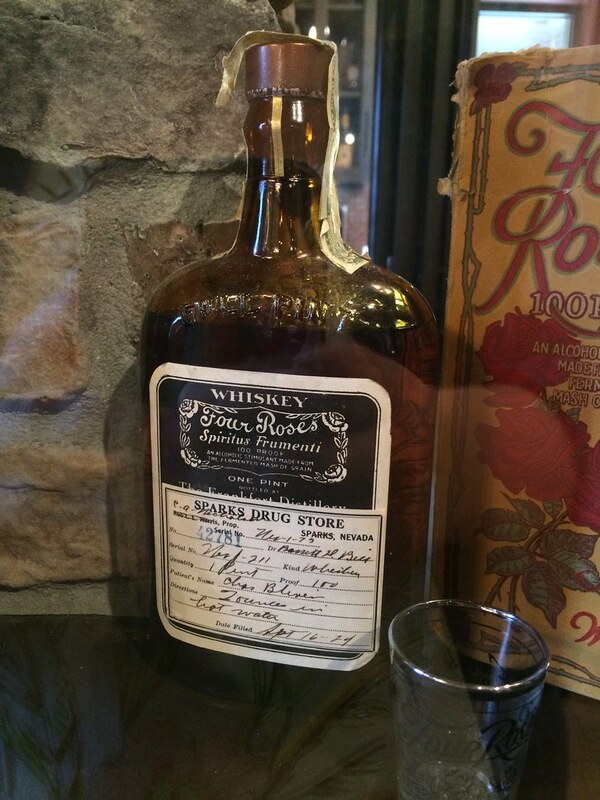 Four Roses also mentioned it was one of the distilleries able to stay open during prohibition for "medical needs." A lot of tour guides joked this was the sickest time in Kentucky history, and people were able to be prescribed a pint every 10 days. 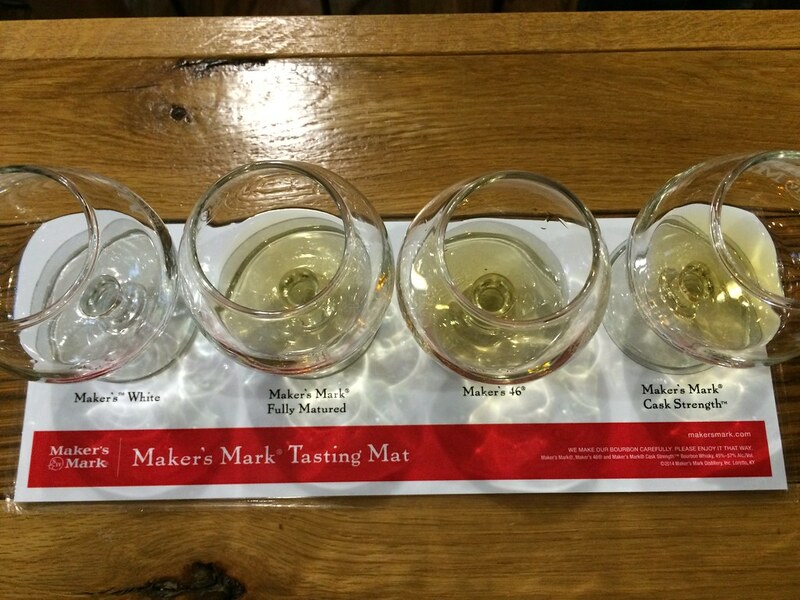 We had to RUSH to our next tour at Maker’s Mark Distillery and somehow made it on time. This property was the cutest to me. It was like a small town with dark buildings (they said they'd turn black anyway so they paint them that way) with red accents. They led us through an area where they were labeling (which was so cool, and we got to keep a label!). 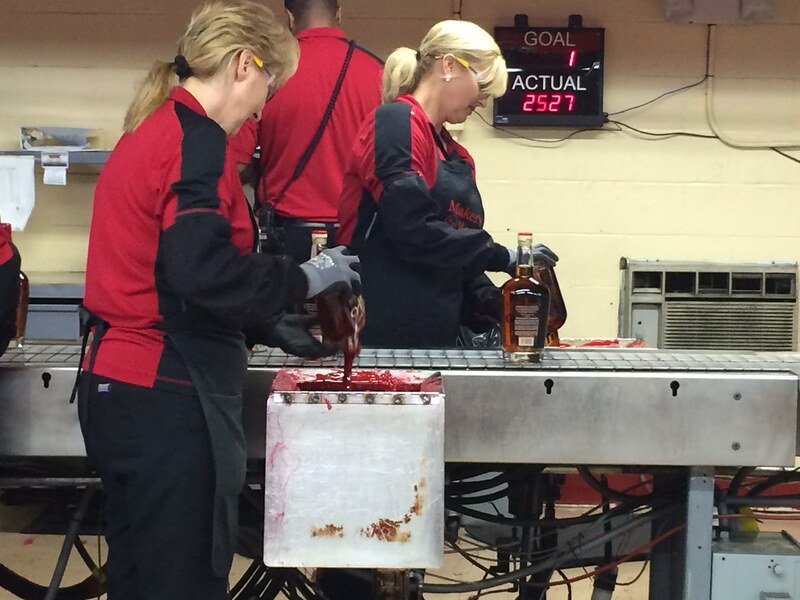 We also got to watch them dip the bottle into the signature red wax. 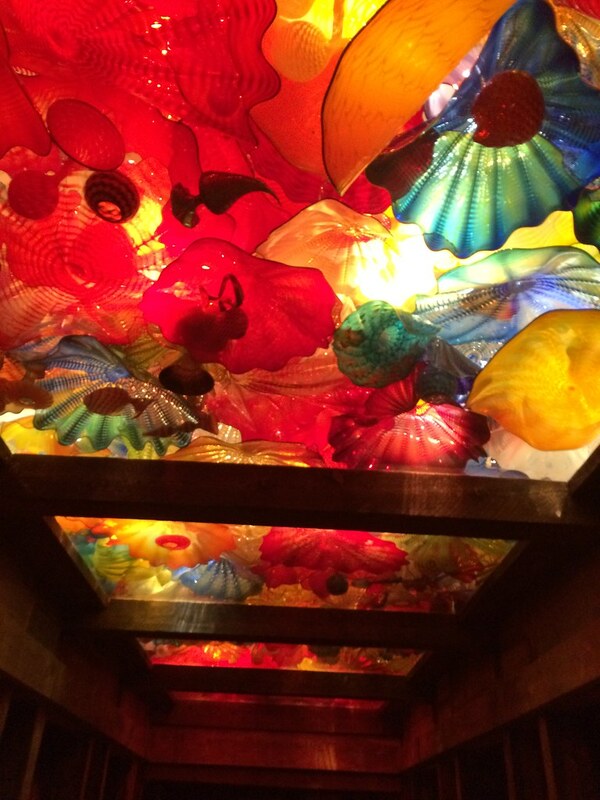 And the end was a bourbon ball and this gorgeous ceiling. 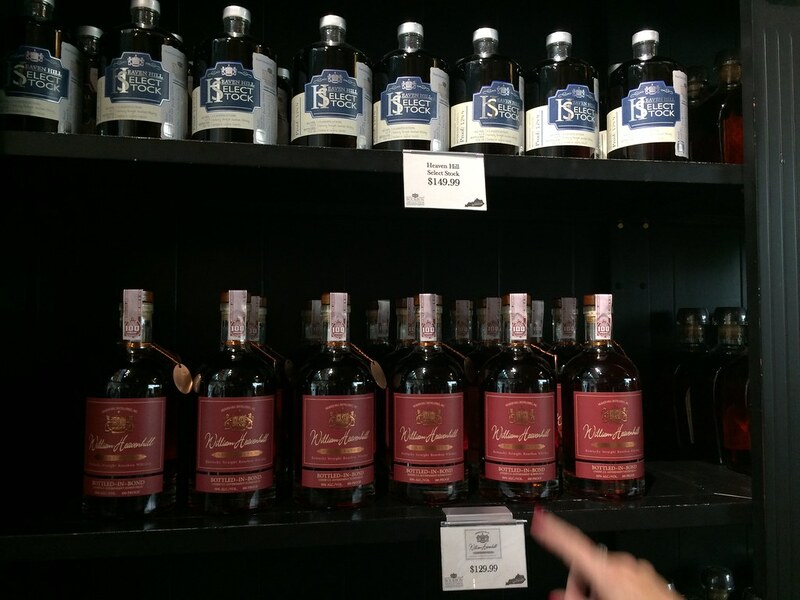 In the gift shop, we were able to purchase a bottle and dip it ourselves. So, of course I had to do that. 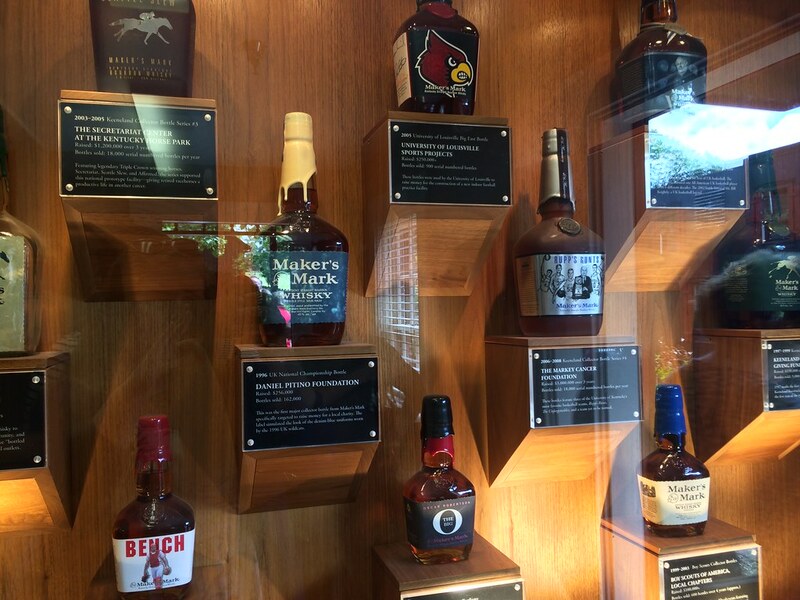 Fun aside: The first time I ever actually had bourbon was at a Maker's Mark bar in Louisville. I asked the guy next to me what I should drink with it, and he said gingerale. I hated it. Now, I have definitely gained an appreciation for it. 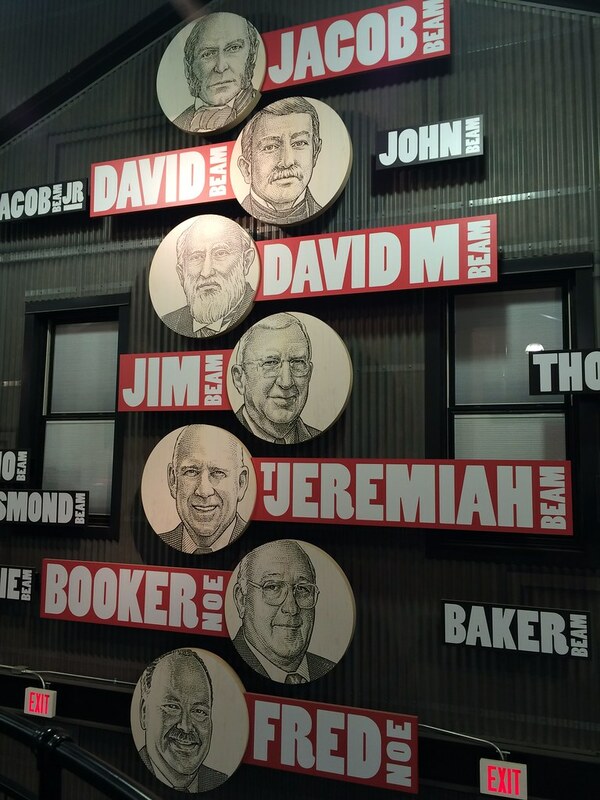 Our third stop of the day was the Heaven Hill Bourbon Heritage Center. 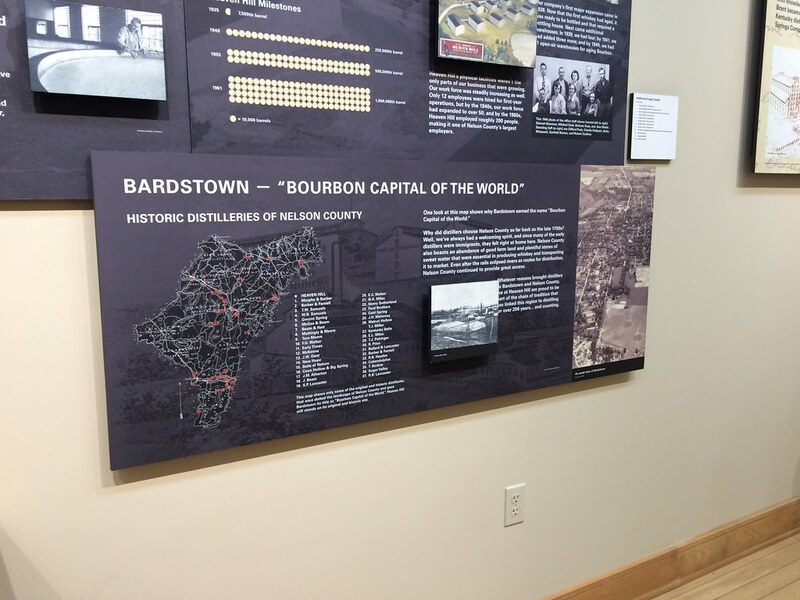 We headed to Bardstown, Kentucky, knowing it is the "Bourbon Capital of the World," but not knowing exactly what we'd find. 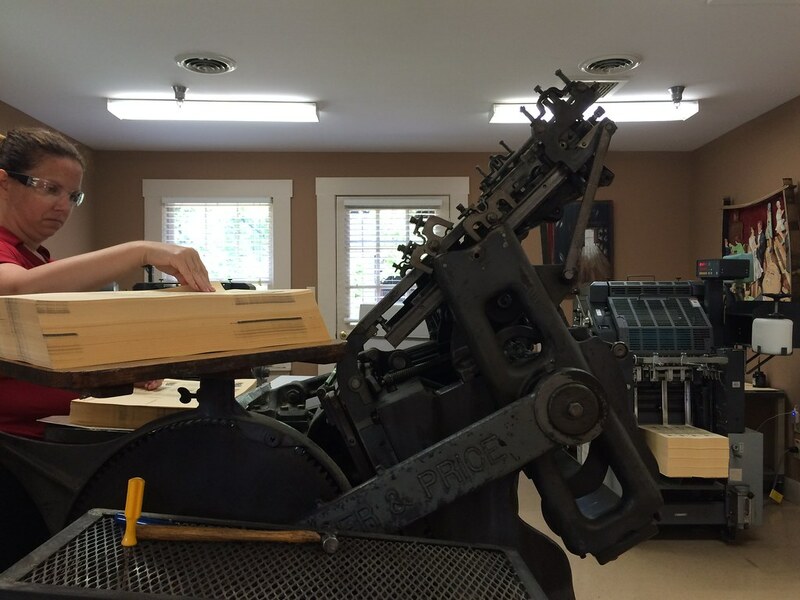 Heaven Hill produces many, many labels. And they offered a few different types of tours, one of which was a 30-minutes $25 whiskey connoisseur tour. While it is pricier than the mostly $10 tours, it was half the time and something a little different than the seven we had already experienced. So we went for it. We got a condensed history but an expanded tasting. 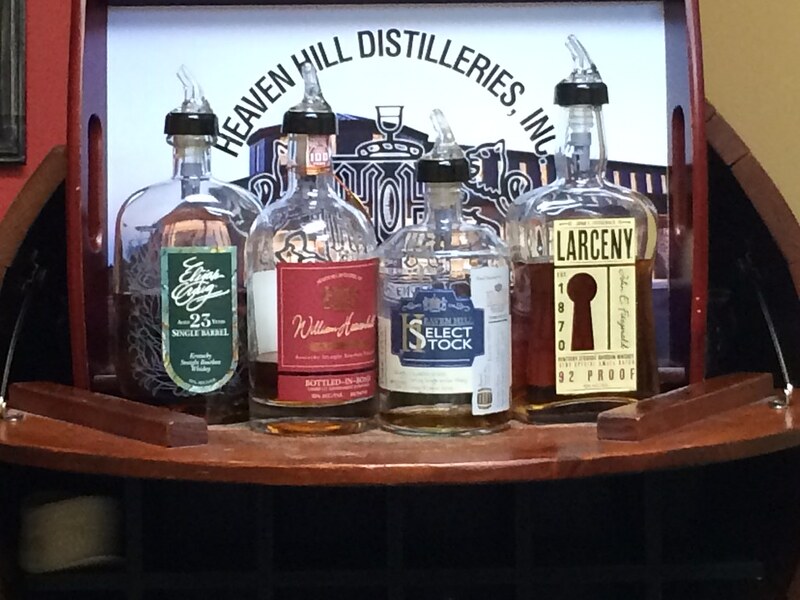 On the bill included a 23-year-old, $230 bourbon, a $150 bourbon and a $130 bourbon. So, that was pretty cool. I don't figure at any other point in my life will I have the opportunity to try another bottle that expensive. It was also fun that our guide drank with us. 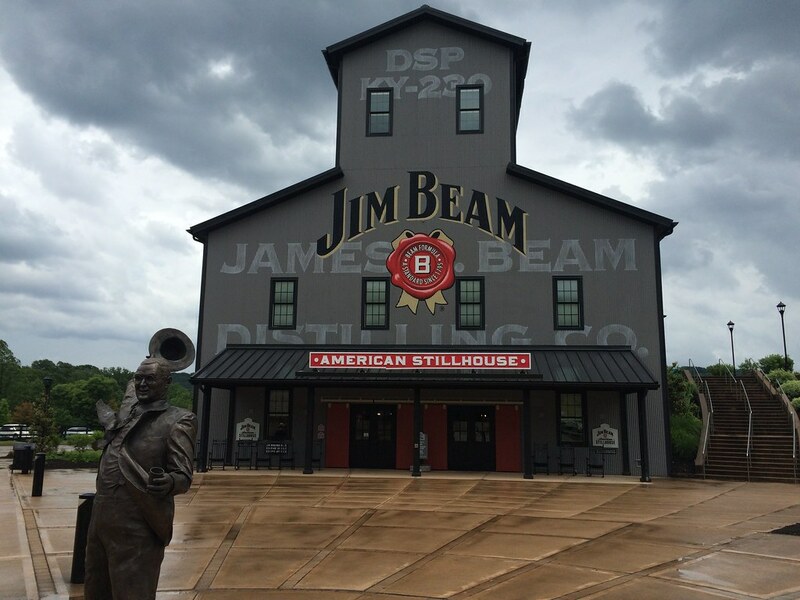 Our last stop on the Bourbon Trail was Jim Beam American Stillhouse. This tour was the most put-together. They know what they're doing here. 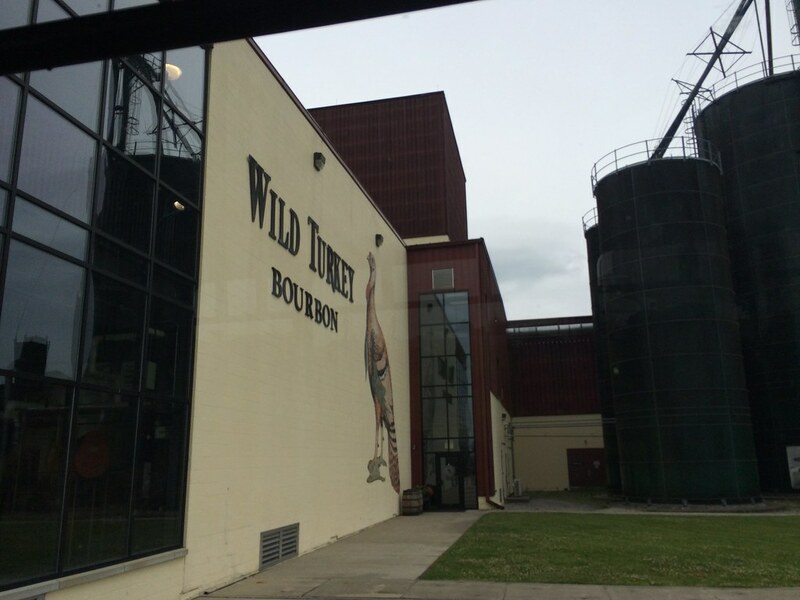 We took a little tour bus all around and learned how, really, all the folks who made bourbon go way back somehow. They're all related in some way. This tour was a little bit more interactive, as the guide had volunteers help do some small jobs. 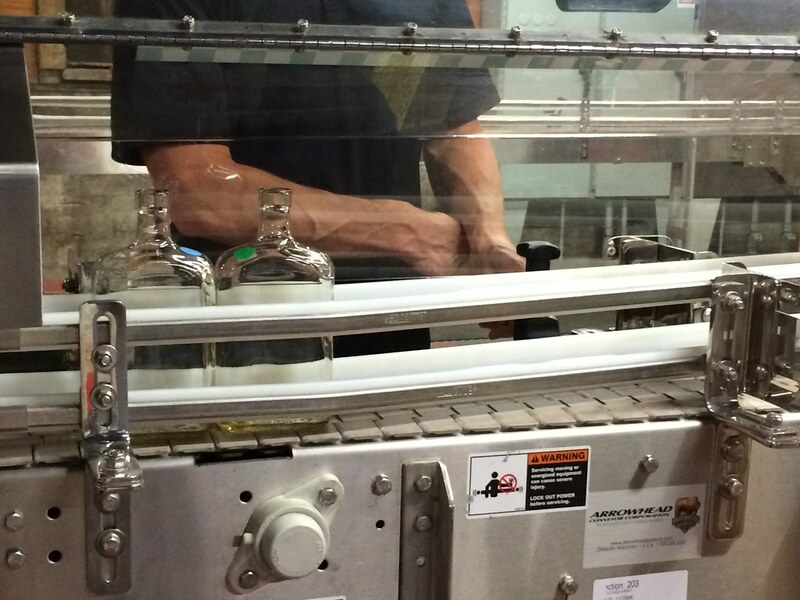 When we got to the bottling area, we were able to clean our own bottle of Knob Creek (which is just flushing it with bourbon because water could change the flavor), and then we could put a sticker on it to keep track of it as it went down the line and you could then purchase it later. It's really a genius marketing idea because they're having you do free labor for them, and then you have some sort of attachment to this bottle, and then you purchase it. I never would have purchased it otherwise - but now, it's in my home and I can say I helped bottle it. So cool. 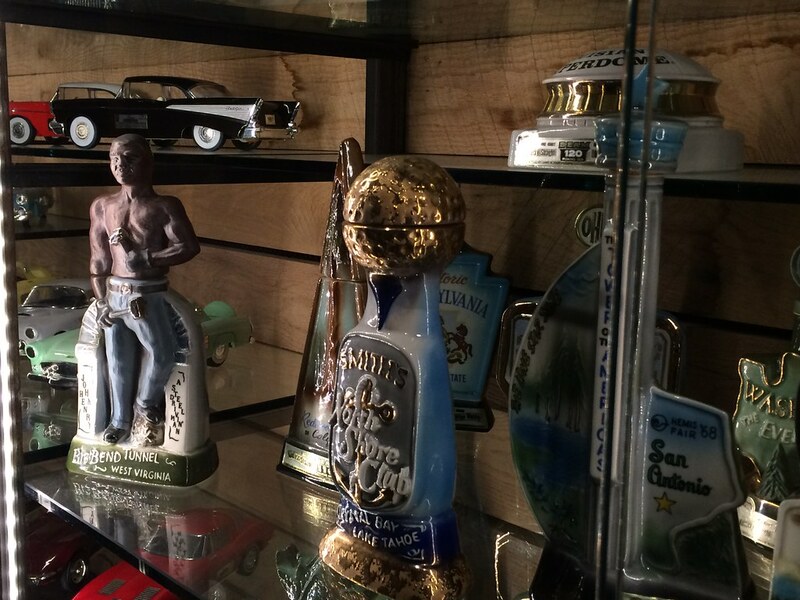 Also realized they own Booker's and Baker's, too. The tasting here was awesome, too. We were handed a pamphlet of a bunch of different kinds of bourbon and whiskey they had. We were also handed a card good for two tastings. We could select which one we wanted with the card. That was fun - so I walked all around to see which I wanted to try. I ended up trying a maple flavored and a black cherry. 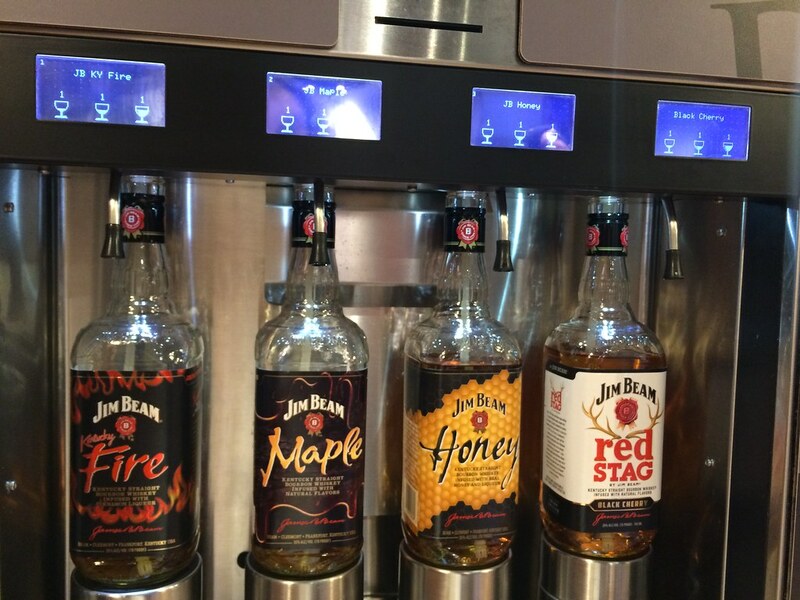 The maple was great - maybe because bourbon often has a sort of maple flavor to begin with, so it accentuated it. We finished the bourbon trail! 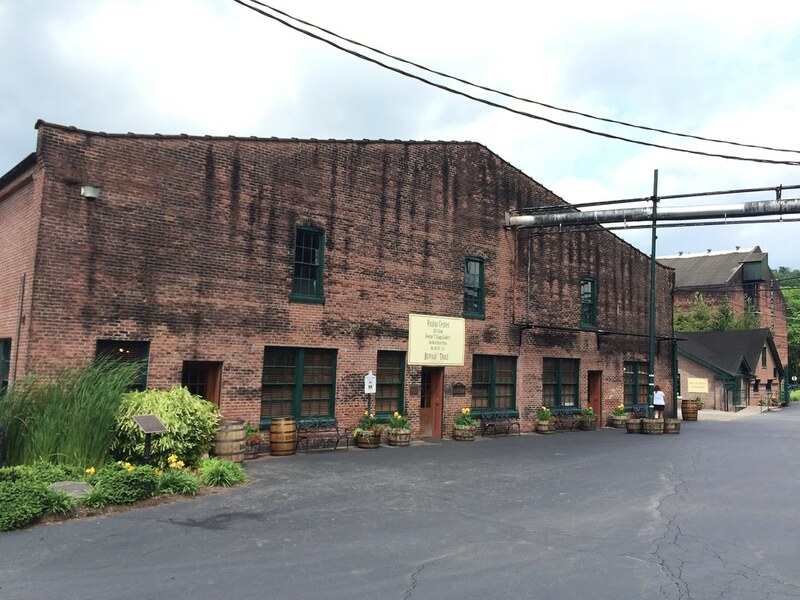 But there was one distillery we kept hearing about, so on our day off, we took a trip to Buffalo Trace. 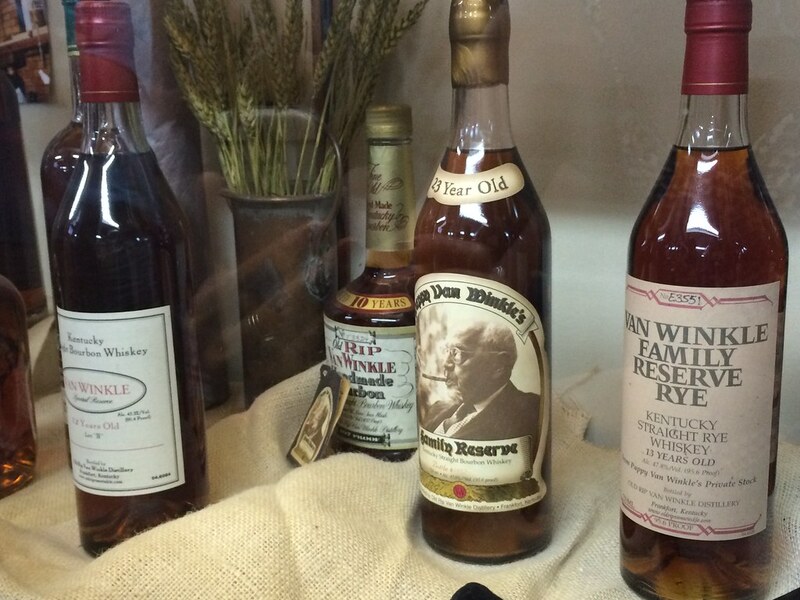 Buffalo Trace produces Blanton's, Eagle Rare and Pappy Van Winkle, the most coveted of bourbons. We had an older tour guide, which was a lot of fun. He taught us a good bit about their bourbons and vodkas. He also noted that, like many other tour guides, Kentucky has more barrels of bourbon than people. But he said that if they stopped making bourbon right now, they'd have enough bourbon for the next 20 years. So, at this point I've been to 10 different distilleries learning a TON about bourbon. I've really gained an appreciation for how difficult it is to make and the history that accompanies the drink. 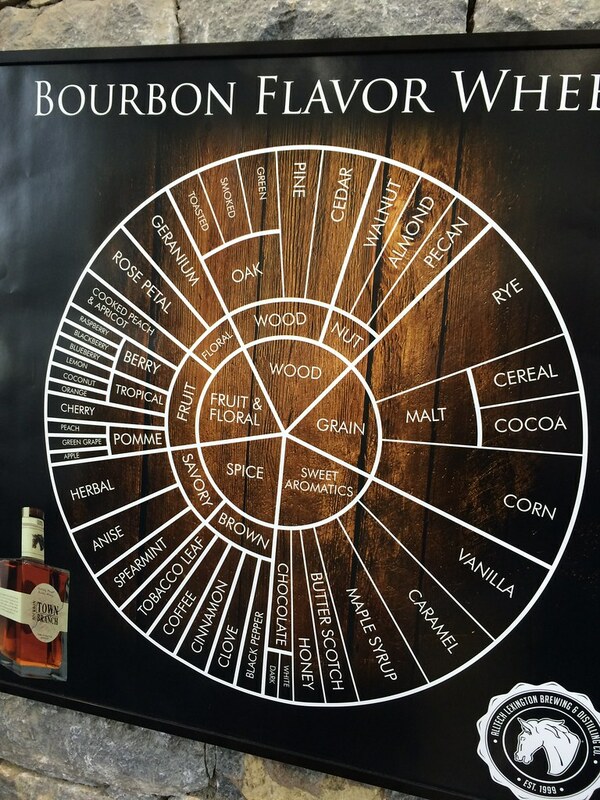 I've learned to taste the real flavors in bourbon (and there are a ton) ranging from woody flavors like hazelnut and almond to fruity/floral flavors like cognac, blackberry and honeysuckle. I've learned that ice drastically changes the flavor profile, and I prefer having a bourbon on the rocks, as opposed to straight/neat. Though, of course, if it's a really good bourbon, neat is good. I do like Buffalo Trace, and I do like Four Roses (they noted they used to be known as rot gut, but have worked hard to remedy their former recipe). I've also learned there is no better trip than learning about something you have an interest in and doing it with people you care about. 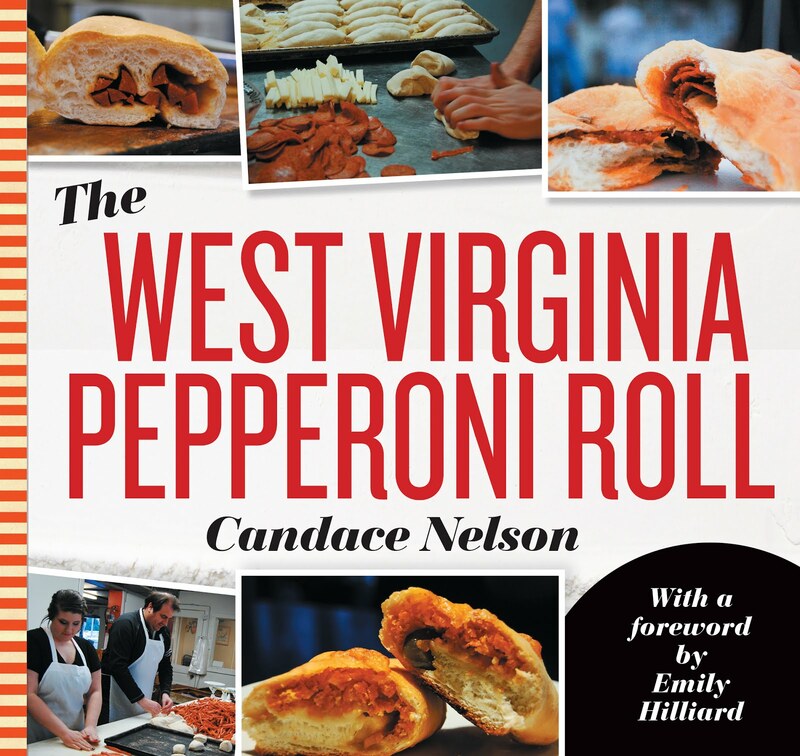 Stay tuned for some thoughts on Kentucky restaurants!